Award-winning faculty, outstanding research, and inspiring events have made 2017 an incredible year. The Division of Social Sciences reflects on some of the many amazing achievements and inspiring moments from 2017. In 2017, faculty in the social sciences received prestigious international awards and recognition. Politics professor Sikina Jinnah was named a 2017 Andrew Carnegie Fellow and Julie Guthman received both a Guggenheim Fellowship and a Radcliffe Fellowship. 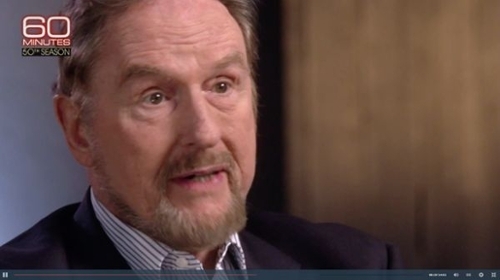 George Bunch in education won an American Education Research Association award. Daniel Friedman in economics was named president-elect of Economic Science Association. Karen Holl was recognized for tropical forest restoration work by the Society for Ecological Restoration. Social psychologist Tom Pettigrew received the Centennial Medal from Harvard University for his research on racial relations. Jenny Reardon in sociology received a Humboldt Foundation award for her work on addressing the rise of big data in the life sciences. Our faculty are not the only ones receiving awards. Our accomplished graduate students have been recognized as well. Michael Wilson Becerril, a doctoral candidate in politics, has been named a 2017-18 Jennings Randolph Peace Scholar. Candy Martinez in the Latin American and Latino Studies Department became a Fulbright U.S. Student Researcher for her research on indigenous responses to trauma in Oaxaca, Mexico. For the fiscal 2016-17 year, the Division of Social Sciences was awarded almost $9 million in grant funding to support research. Faculty received funding to examine new innovations in agriculture, financial markets, big data, governance and water rights, global migration, labor relations, urbanization, and other topics. Thanks to the growing list of donors, projects and programs in the division saw more than $4 million in private philanthropic contributions. 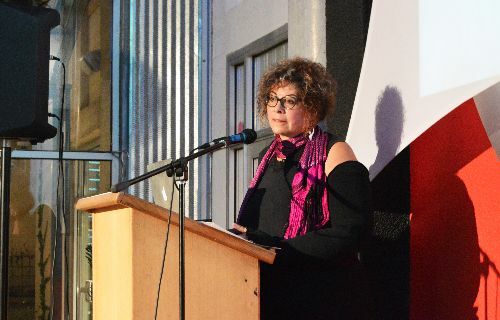 Gabriela Arredondo, a professor of Latin American & Latino studies, was one of six speakers at the Division of Social Sciences annual research showcase. At the fifth annual Research Frontiers Evening in October, faculty showed why a social sciences perspective is needed more than ever to confront the assumptions framing everyday experiences. Katharyne Mitchell, dean of the Division of Social Sciences spoke about her vision for the future, sociologist Steve McKay talked about community-initiated, student-engaged research on the Santa Cruz housing crisis, cultural anthropologist Lisa Rofel discussed China and globalization, Gabriela Arredondo discussed LatinX migrations, Leila Takayama explored the role robots play in society, environmentalist Karen Holl discussed tropical forest restoration , and Sikina Jinnah explored the complexities of climate engineering. 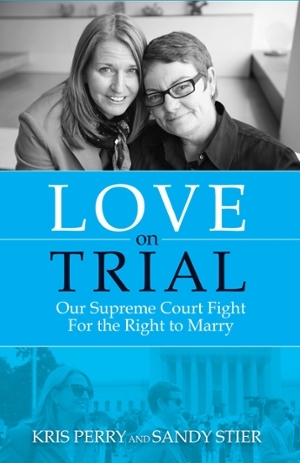 UC Santa Cruz graduate Kris Perry and Sandy Stier were the lead plaintiffs in the team that sued the state of California to restore marriage equality. In 2017, Perry was honored with the Social Sciences Distinguished Alumni Award. Earlier in the summer, Perry also co-authored a book (pictured) about the landmark case. Psychology Professor Craig Haney was an expert witness in a lawsuit filed by the Southern Poverty Law Center (SPLC) that demanded the Alabama Department of Corrections end deplorable conditions in their prison system. “They were suffering, they were living in pain, and many of them were being psychologically damaged by the conditions of their confinement. 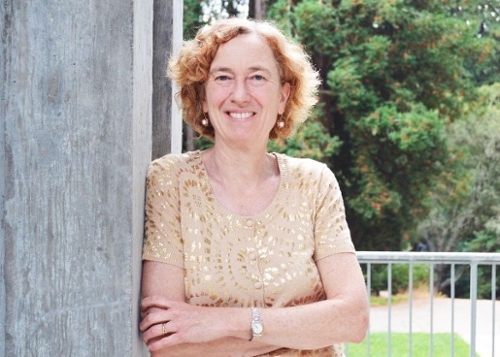 And at much higher levels than even I anticipated,” said UC Santa Cruz psychology professor Craig Haney to Oprah Winfrey about the results of his 1992 study on solitary confinement at California’s Pelican Bay State Prison. The UC Santa Cruz Farm & Garden also celebrated the 40th work anniversary of the farm’s Master Gardener, Orin Martin. 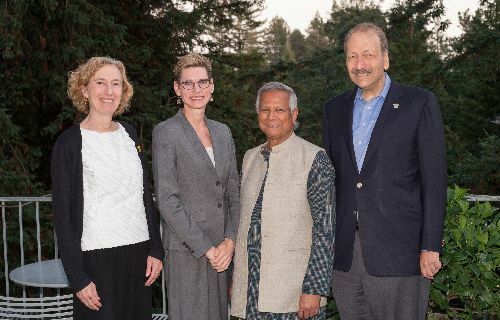 From left to right: Dean of the Social Sciences Division, Katharyne Mitchell, Campus Provost/Executive Vice Chancellor Marlene Tromp, Muhammad Yunus, and Chancellor George Blumenthal. Photo by Steve Kurtz. 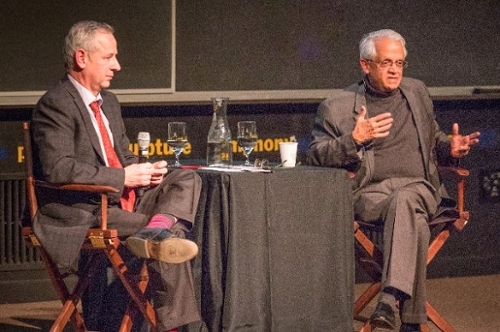 In October, Nobel laureate Muhammad Yunus discussed his vision for an alternative economic system at UC Santa Cruz at an event hosted by the UC Santa Cruz Blum Center for Poverty, Social Enterprise and Participatory Governance and Bookshop Santa Cruz. Distinguished Economics Professor Carl Walsh received the Faculty Research Award, the foremost academic honor bestowed by the the Academic Senate. Walsh is one of the world’s premiere researchers in the fields of monetary theory and monetary policy. His now-classic papers on central bank governance, optimal monetary policy, and inflation targeting have helped set the research agenda for monetary economists for over thirty years and have had a strong positive influence on the way the U.S. Federal Reserve Bank and central banks abroad conduct monetary policy. The award was given to Walsh at Founders Weekend in October and he will be giving the 52nd Annual Faculty Research Lecture Feb 22, 2018 as part of the honor. 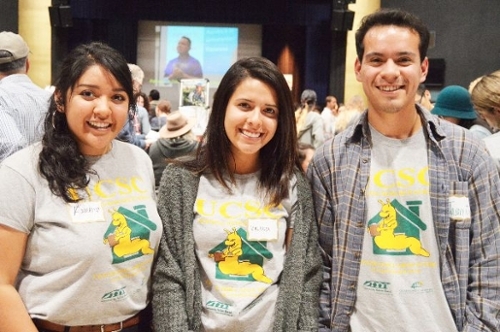 Over 200 students helped two sociology professors gather data for No Place Like Home, a comprehensive survey about the Santa Cruz county housing crisis. Photo by Melissa De Witte. 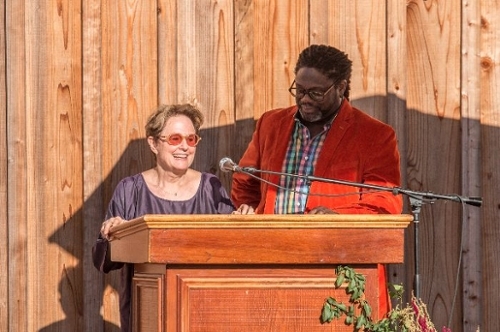 Also in October, more than 600 people gathered to hear findings from "No Place Like Home," a two-year study led by sociology professors Steve McKay and Miriam Greenberg about the affordable housing crisis in Santa Cruz. The event showcased the multimedia project, which included a comprehensive renter survey, interviews, historical and policy analysis, creative non-fiction, documentaries, photography, infographics, and mapping. For many, the event signaled the beginning of a new movement and activism. Stories are a core part of our individual and collective identities. Now, thanks to a new initiative created by College Nine and College Ten, storytelling is part of the core curriculum. Students have gathered over 700 student stories as part of their “Slug Stories” initiative - and there will be hundreds more to come. Research from two of our professors and one of our grad students went viral this year. Pumas, mountain lions, and humans, oh my! Environmental studies professor Chris Wilmers and recent doctorate alumna Justine Smith published a study that proved pumas are scared of people (the feeling is mutual) . Their study found that when the big cats hear human voices, they flee. Wilmers and Smith’s findings were circulated widely by international media, including The Washington Post and LA Times . Want to go green? Try pink instead! A new study by Environmental Studies Professor Michael Loik tested electricity-generating "smart" greenhouses that are outfitted with a magenta luminescent dye that absorbs light and transfers energy to photovoltaic strips. The study was picked up by almost 30 websites, including Newsweek , Seeker , and Quartz . See you in 2018, Slugs!